So I've reached a point where I think I am ready to give propane another try. Don't get me wrong I love working with coal it's a blast and fun. Heat treating is very simple with it. Just tough to see the descale part. How ever as I said because of weather that's been limiting my time outside running my forge. I've been considering strongly considering giving propane another try. I do not necesarrily want to go large on a big forge. I have several soft fire bricks on hand that I could easily assemble a small propane forge. Main reason I was considering this is because with a propane forge I could safely use this underneath my carport. Where as with the coal forge that would have probably burnt it to the ground LOL. That would have been no good especially for insurance. Not to mention I would probably never be allowed to run a forge in here again lol. How ever I was thinking about this because I also thought of heat treating. Especially on those rainy days I could just go out under the carport and fire up the forge easily. I still have the bits and pieces for my blown burner. How ever I would still like to be able to use the same fan for my coal forge as the blown burner. At this point I'm still trying to work things out on what the best way of going about this is. I know many of you guys on here have both a coal and propane forge. Plus I'm finding that I've been really enjoying building things as well. Guess that just comes with the territory of this hobby. Okay so I just placed an order for my Jock Dempsy Black Beauty forge burner. Should be here in a couple of days. I'm planning on picking up a steel propane hose for that burner as well. I have a regulator already somewhere in my shed lol. I also plan on at some point this weekend building my forge. I'll be doing this out of angle iron and the fire bricks I have. I wont need it to be huge. But I think I should be able to figure something out with the bricks and refractory cement that I have. I just have to figure out the best way to carve out a hole for the burner in the fire brick lol. I also hope these burners are well worth the money. 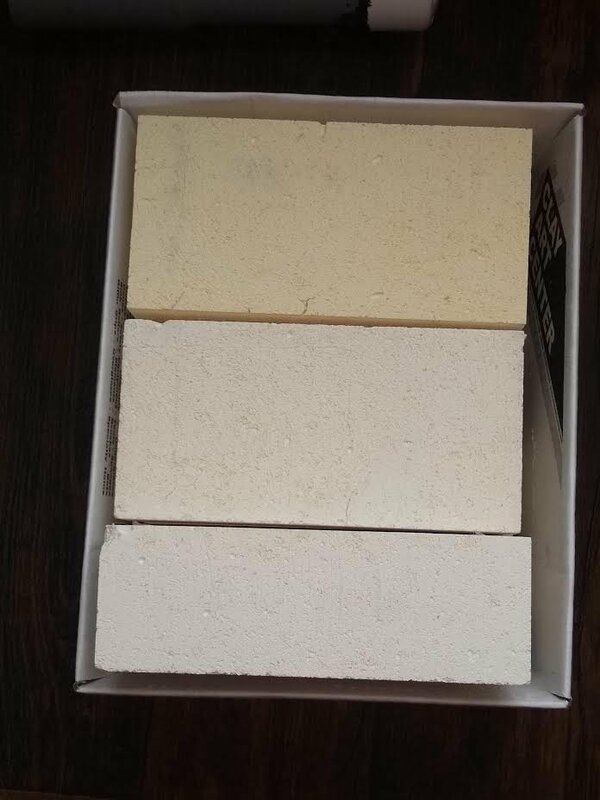 If you are using soft firebrick, it drills just like wood, but softer. 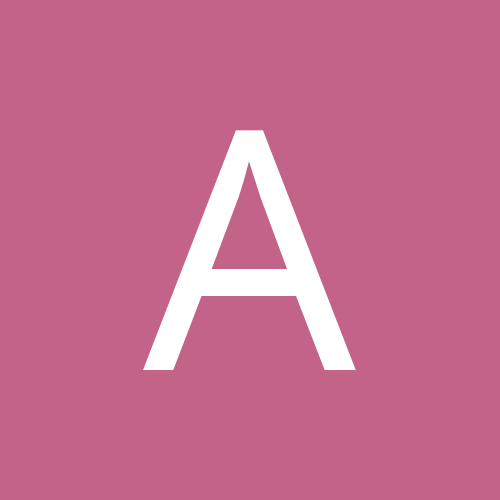 If you're using hard firebrick, don't. I know Jeremy's quick and dirty forge does, but that's just it: it's quick and dirty, okay to get you started, but will not last long and, due to the nature of hard brick, will be a fire and burn hazard for a long time after you shut it down. Well Id planned on using the fire brick as the shell of the forge and then lining the fire brick with the Refractory cement that I still have half a bag of out in the shed lol. I'm hoping that combined with the bricks as a outside shell will work. I'm only going to be using 1 burner the black beauty burners when that gets here. I'm just always tired of getting rained out when I want to forge lol. 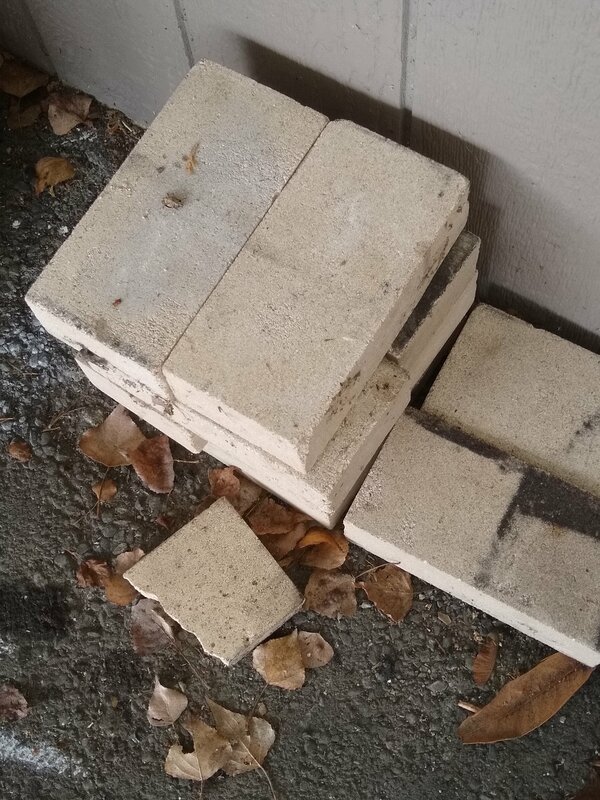 I'm pretty sure I've got the soft fire bricks because if I drop them they will instantly break in two when they hit the concrete lol. If I drop them from a high enough height. I'm also planning on mounting the burner to the side hopefully this go around. Firebricks and refractory dust is no good to breathe in. Make sure you are wearing a respirator and long sleeves. And be mindful of wind and disposal. Don't you have a gas forge you bought a while back Andy ? Might be easier to just line that one with your refractory and call it good. A well lined forge will serve you way better than firebricks alone. If it's just for heat treating, you can use an oxy/acetylene or oxy propane setup to get to temp quickly on a blades that aren't too large. It would be faster and more efficient me thinks. I should redo the "original" forge and use soft fire brick. I really didn't expect it to get pinned and have so many views. I did make a couple other versions but the first one should have been made with soft brick. I've got a mask and yea it's nasty to breath lol. I'm going to have to shop around for some because I don't want to build a huge forge. 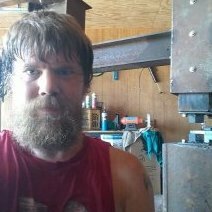 I want to make it just big enough that I can get it hot and keep it hot for now and be able to forge weld with it when it's raining outside and days I cant run my coal forge. I'll hunt around on amazon for some soft fire brick. I'll hunt around on amazon for some soft fire brick. That's where I got these bricks. These were the ones that I was planning on using. These came from the local place. I went outside to test this fire brick. I used my little cordless drill on it. I think of course it will work a bit better if I have a hole saw. How ever the 3/8 inch drill bit went through the brick like a hot knife through butter. The end came out just like it would be made of sand or what ever is what it looked like. I think they might work good thing I have plenty of these things lol. That's a hard brick Andy, after your first firing, that brick will break in half. I know you said you want to work on something small, but these really are not the way to go. Secondly, it will take hours for that one brick to cool down to the point that it's safe to store away. These are just not made to do the job your looking to do. You will replace more of these if you plan to make a brick forge than you expect. 2-3 firings and they will be done. Cracked up split, crumbled just not worth the time. Even using them as just a shell has trouble. Just make the soft brick forge igloo and it will work, for about a year, then you have to build something more lasting. Welp back to square one on bricks lol gonna have to place an order for some only problem is they are danged expensive. They should be about $5-$6 each. I got some in downtown Olympia about 15 years ago (I think they were $4 then). Can't remember the store name though. I've looked every where in town for a store that sells them and I can't find any. 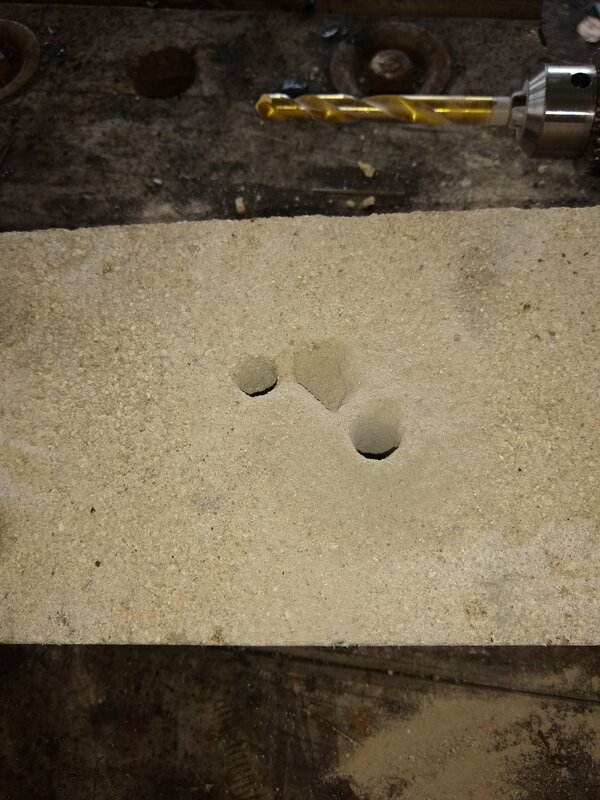 I'm almost wondering if I could use the fire brick I have as the shell because I was planning on using most if not all of the refractory cement I have left unless I do an entire forge out of the refractory lol that's always an option too. You can also order from High Temp Tools. Or there is Clay Art Center in Tacoma. Check out the Build a Gas Forge attachment and the Ribbon Burner attachments on the Forge Supplies page at www.WayneCoeArtistBlacksmith.com. actually talked to them yesterday 55 bucks lol for 15 so I may do that this week. Clay art center doesn't open until 10 my time so I'll be hittin the road here not to long and be heading up there to get some bricks. At least that way I wont have to pay for shipping. Its just a pain when all the supply stores for this hobby aren't even in your city lol. Alright Soft Fire Brick IN hand. Let me tell you for 15 bucks it was just shy over 100 dollars. These things are not cheap what so ever. I think they should work quite well though. I was really surprised at how light and brittle they are holy jebus. Just need to pick up some angle iron and the forge burner will be here either on Monday or Tuesday and I'll be set to go. Yes I still have a crap ton of refractory lol. But I think 15 bricks should be more than plenty to put together a small forge Id think. The first one of these I've seen made is really simple. You need no refractory no nothing, you just need to keep the bricks together, allow a little bit of play as when these guys heat up they expand a little. If you hold them too tight, they will crumble on you. The guy who I seen using a forge like this igloo style - has used it for about 2 years with basically wire holding it together. You got the right stuff now, so you should be cookin' before you know it. I never meant to jump on ya when I seen the post of you drilling into that hard brick, through experience I know that those things are just a wast of a forge's time. 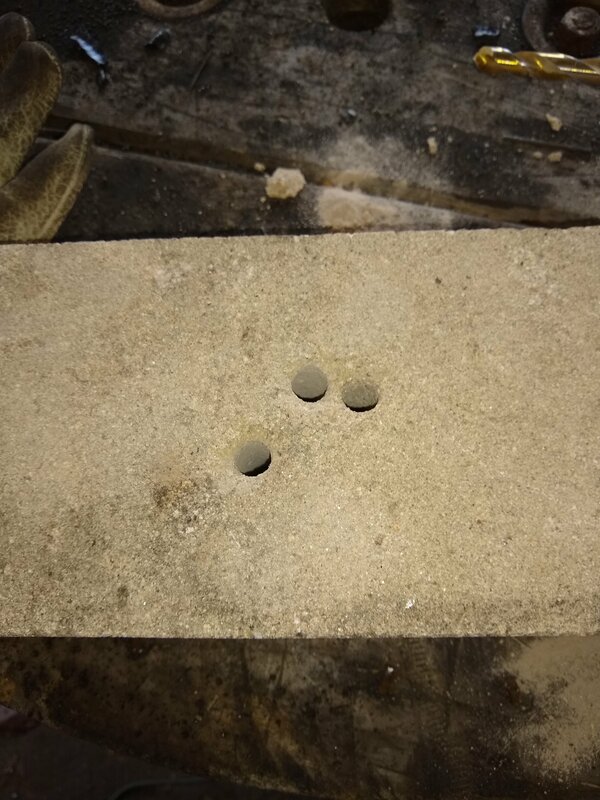 Important- if you intend to weld, find some kind of sacrificial kiln shelf or something (make one of cast-able refractory if you have it) to put in the bottom of your gasser. Over time the floor breaks down first. Also if these bricks get wet, I think it's bad news. And yes, I have not yet got these for my forge yet either due to their cost. So in the next day or so I plan on getting this forge put together. It will be interesting if it successfully works and I can get over my issues with propane gas. How ever I'm also wondering if it would be wise to invest in a thermo couple so I can monitor the heat when it comes time for heat treating. I found one I could easily get for about 73 bucks. I'm wondering if this would be a good thing to add to the propane forge rather than doing things by sight all the time.